Hi guys. My best friend Jessica took me to see the Ellen show being taped yesterday. 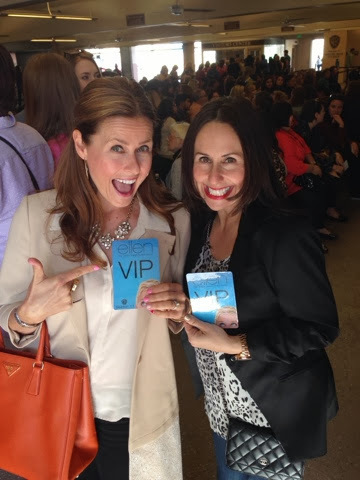 We were VIP's all the way--We saw Portia de Rossi, sat in the second row, got free goodie bags and gift cards. It was the best day. 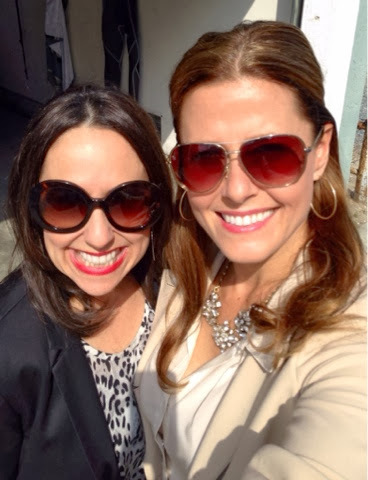 Jessica has been my BFF for over 20 years. 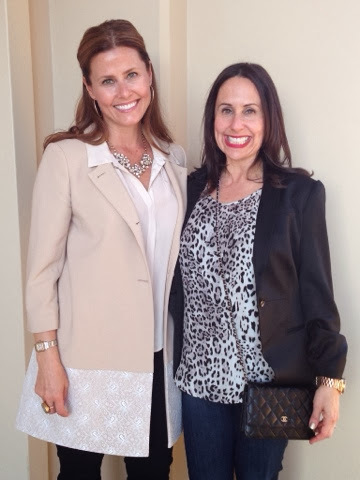 We both grew up in Los Angeles in the valley and now both live in Newport Beach. Since I am an only child she is like a sister to me. Jessica is the person I share everything with--good times (like girls trips and fun nights out) or hard times when I need her the most. She is always someone I can lean on and I love her so much. Jessica and I thought long and hard about what to wear to Ellen. We knew that we might be on television so we had to look our absolute best. 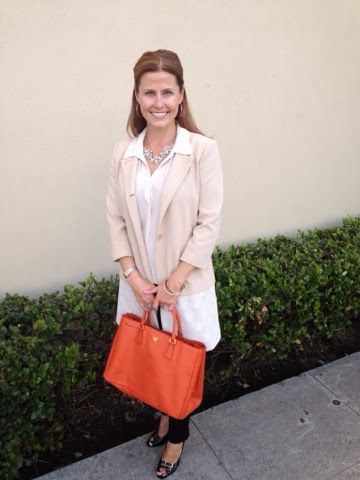 Jessica chose this amazing coat that I'm obsessed with by Chelsea28 that can be found at Nordstrom, and paired it with classic black pants. She looked fabulous. 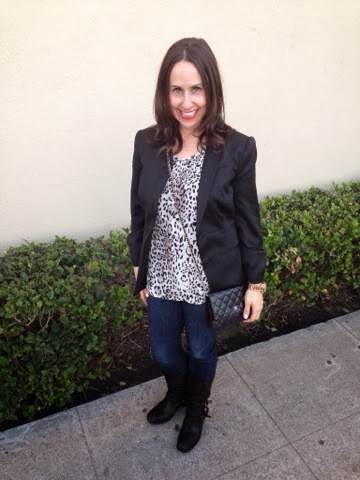 I chose to wear dark skinny jeans (Joe's are my favorite) with a leopard print top ( I'm obsessed with this one by Joie), my staple black blazer and favorite tall boots. It's easy to add a little bit of fun to an overall classic outfit by adding some leopard print. Try some in your wardrobe-- Whether it's in a top, a scarf or some heels, give it a try. Let me know what you think. 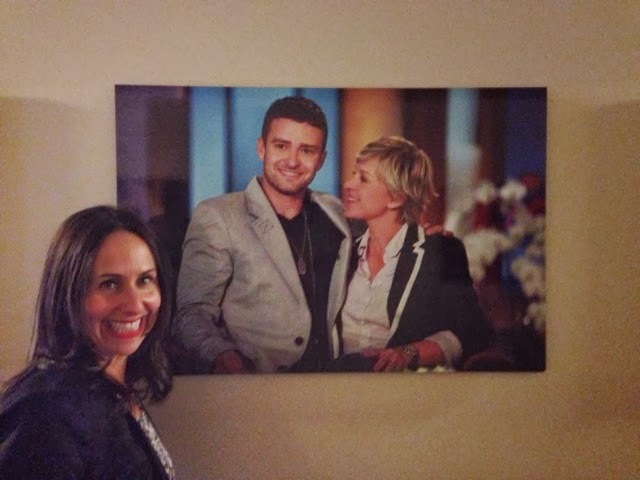 And P.S I just love Justin Timberlake and we had to get a picture of him with Ellen. Couldn't leave the studio without that last snapshot of the day. Thanks for reading! !